Our Bible study tours of Israel and Jordan have begun to include the new gem of a site: Shechem. Our Bible Study tours of Israel includes Shechem, located near the place where the Israelites camped to go into the Promised Land, there is the Madaba Mosaic Map. It is one of the oldest cartographic depictions of the Holy Land. Our recent journeys to Jordan and the visits to Madaba have highlighted the site and have offered us a renewed interest in the site of Shechem, located on the Israel side of the Jordan. It was during Joshua’s time where he laid a large stone (Joshua 24:26) under the oak by the sanctuary of The Lord. Shechem is a site that offers so much great teaching that it is like unpeeling an onion. Jacob’s son Joseph’s bones were brought back here from Egypt and the Samaritan woman unknowingly prophesized. She said that the well they now know there “is deep” (John 4:11), meaning Christ’s well itself runs deep. Schechem is a highlight on our tours of Israel because the area holds so much. To meditate on The Word and to realize that even during the 6th century AD, the Madaba map recorded the area so well is amazing. Even though it has been ignored for the last couple hundred years by New Testament teachings. What a wonder how Schechem is placed between the mount of blessing and the mount of cursing from the Book of Deuteronomy. 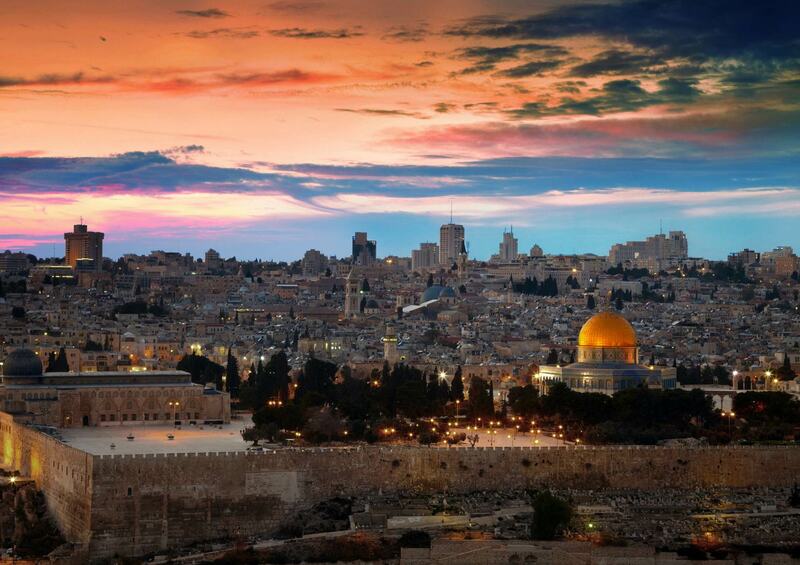 Join us for one of our upcoming Biblical Israel Tours to visit the Holy Land and get a deeper understanding of God’s use of this geographically important place! Interested in a Biblical-based Christian tour? Check out everything we have to offer for Christian cruises!